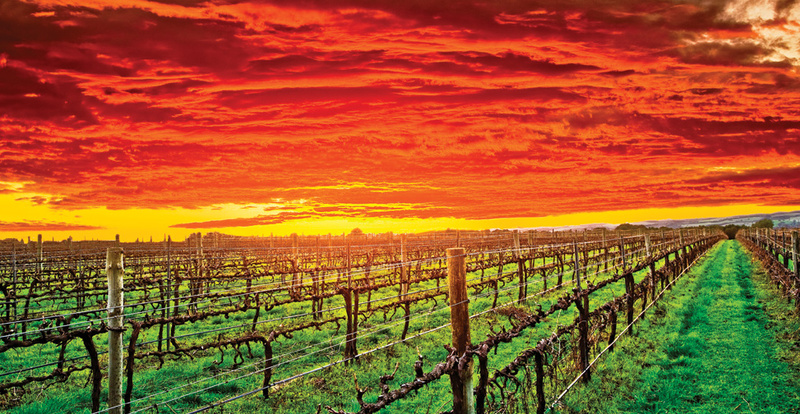 A Shirvington family individually crafts each grape in their South Australian vineyard. Carla Castro, Mark Shirvington, Lynne and Paul Shirvington. When spring finally blossoms in Missouri, especially after what seems like an endless winter of gray skies, snow and cold, one cannot help but notice the renewal of nature, from the budding of the trees and shrubs with new leaves to the first flowers of the season poking their way up through the no-longer-frozen earth, and blossoming into colorful bouquets. Of course, those who work with the land are even more attuned to the change of seasons than we city-dwellers and suburbanites. Vineyard owners that take a hands-on interest in their vines’ health and well-being are often rewarded with the kind of grapes that most often find their way into some of the best wines on the market. 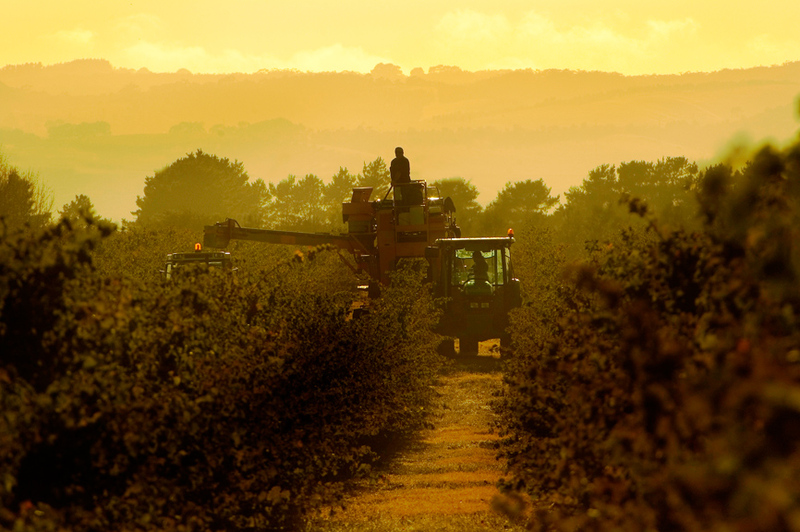 For instance, Shirvington is the name of a small-production wine that has enjoyed some of the highest ratings ever awarded to Australian wines by the famed critic Robert M. Parker. Only two varietals are planted in the Shirvington vineyards…Cabernet Sauvignon and Shiraz, the signature red grape of Australia. When the second vintage of Shirvington wines were released (the 2001vintage), the Shiraz was awarded an almost unprecedented 99 points, with the Cabernet from that year close behind with a 96 rating. Since then, every vintage of Shirvington has been rated above 90 points. 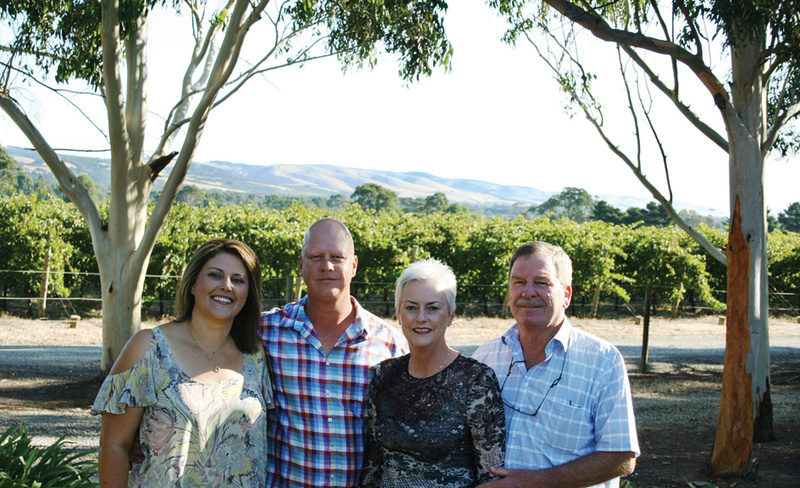 Paul Shirvington and his wife Lynne (with their sons Mark and Tony) have been close to the land since they purchased a small parcel of prime land, called Redwind, in the McLaren Vale region of South Australia in 1996. With careful vineyard management, they feel they are individually crafting each and every grape from this vineyard. This is most evident in their soon-to-be-released 2010 Shiraz that has been chosen to be part of the McLaren Vale “Scarce Earth” Project, which is a celebration of McLaren Vale's best Shiraz vineyards reaching their fullest expression through wines from a single block in the vineyards. And, this homage to the land extends to the fresh, natural and healthy foods they eat at home on a regular basis. While enjoying blazing red sunsets from her large kitchen windows looking out onto the vineyards, Lynne might be tossing together a fresh spring vegetable salad that has a just-picked spinach base and whatever vegetables are ready in the garden at the time. One very popular McLaren Vale dish is the Middle Eastern Dukkah…a healthy blend of nuts (shelled and roasted pistachio nuts and almonds), seeds (coriander, fennel, cumin and sesame) and spices (crushed red pepper flakes, smoked Spanish paprika, coarse sea salt and crushed black peppercorns). You dunk a piece of crusty, warm homemade bread into extra-virgin olive oil and then into the Dukkah for an addictive appetizer, or sprinkle the Dukkah over Lynne’s fresh vegetable salad. 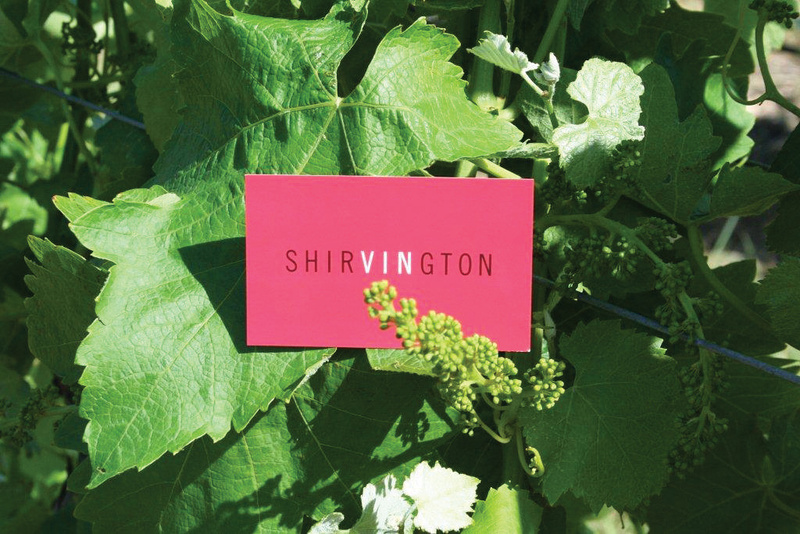 Shirvington’s robust yet elegant wines are best served with a wide variety of meats. Australian lamb is the most famous pairing with most Shirazes, but these reds also shine with Lynne’s special beef casserole, which is a blend of the finest Australian tenderloin, diced and combined in a pressure cooker with fresh carrots, onions and her secret ingredient – a bit more than a splash of Shiraz. Like winemaking, cooking runs in the Shirvington family. Son Mark also has a signature dish – Beef Espadada. In his version of the Portuguese recipe, Mark marinates the beef in Shiraz prior to roasting it to perfection on an outdoor spit over wood. When you add one of the hand-crafted Shirvington Shirazes or Cabs to Lynne’s Dukkah, vegetable salad and beef casserole, or Mark’s Espadada, you have an amazing way to celebrate the season of renewal.